When God prodded me to launch a blog, I didn’t know it was because I wouldn’t be singing for a while and would be writing for most of the time. When He gave me so much work last February, I didn’t know it was because a little bean would come along and override my way of life. God probably gave me a huling hirit of the working life I’ve led for the past eighteen years, to remind me that it has all been good, and that now the time has come for my active, transient life to sit down, stay put and prepare for a whole new journey. God’s timing - It has always been perfect, and He always has a purpose for why He allows things to happen at the time and manner that they do. It is up to us to glean what wisdom we can from each stage of life that we find ourselves in, respecting that challenges lead to maturity, that everyone was a first-timer at one point in their lives. That life will always change, and we are bound to its transitions as we go further up in years. It was the first time our current reality was put into words and spoken out loud. I laughed at how Joey said it, but inwardly marvelled at this life change. It IS true! I AM a legit housewife now! I’ve been working nonstop since I was sixteen and I’ve always thought that I would continue working till I’m about 50 (or until people drag me off the stage lol). I’ve been so used to the financial independence that my career has afforded me, so this on-hold-for-now singing hiatus is something totally new for me, even if it would just be for a few months. But Lilibubs and her health takes precedence over everything, especially in the first few delicate months. To be honest, I am not worried about the money, for time and again, even in the most gipit moments of my life, God has always pulled through and provided for what I need. Also, I have complete faith in my husband’s ability to provide. I remember a conversation I had with my good friend and fellow singer, baker extraordinaire and now mom-of-twins Nicole David-Yalong. What she randomly shared to me were gems of wisdom I believe the whole universe will benefit from, even for those who are not journeying into new parenthood. Nicole had been singing for about eight years before she got pregnant with now one and a half-year old twins Leo and Nico, baking for about five. She and her husband Jake got married in October 2015 after ten years of being together. Do read on as she shares some very valuable insights on being a first-time mom and on handling transitions. I used to be in the season of working for myself and for my family, of singing here and there and enjoying its perks, generally just doing what I want whenever I wanted (singlehood). Then I got married, and that was the season of working alongside my husband, marrying our goals and ideals, and building a strong relational foundation for our future family (marriage). This new season of pregnancy I am in now requires for me to put our baby’s health at utmost priority, even if that means putting my career on hold and relying solely on my husband, situations I may not be used to. It is also the season of enjoying every baby kick, watching the belly grow big and the weighing scale numbers rocket up, looking at the mirror and seeing an oddly-shaped person, accepting all of these changes and rejoicing at the preciousness of it all, knowing that in the grand scheme of things it will only be for nine special months and may not be exactly the same the next time, if by God’s will there will be a next time. It is important to note that in thinking in terms of seasons, the concept of time, or years, is not really essential. One cannot just apply a specific number of years per life stage, it varies per person. It may have taken you beyond your target year to pass that board exam or to get that dream job, so what? It may have taken your boyfriend years to propose to you, or you and your husband may have been trying for a baby for months or years. You may still be single right now, or separated.. what matters is that we learn to accept and embrace every lesson in every season, and that we are continually striving to be better versions of ourselves, trying our best to honour God with how we live, while respecting that the passage of time is necessary in the ripening of any given fruit, in this case, the fruit of maturity. To acknowledge that there is wisdom to be gained in waiting. My good friend and makeup artist Maui Manalo posted this online the other day, and I couldn't agree more. 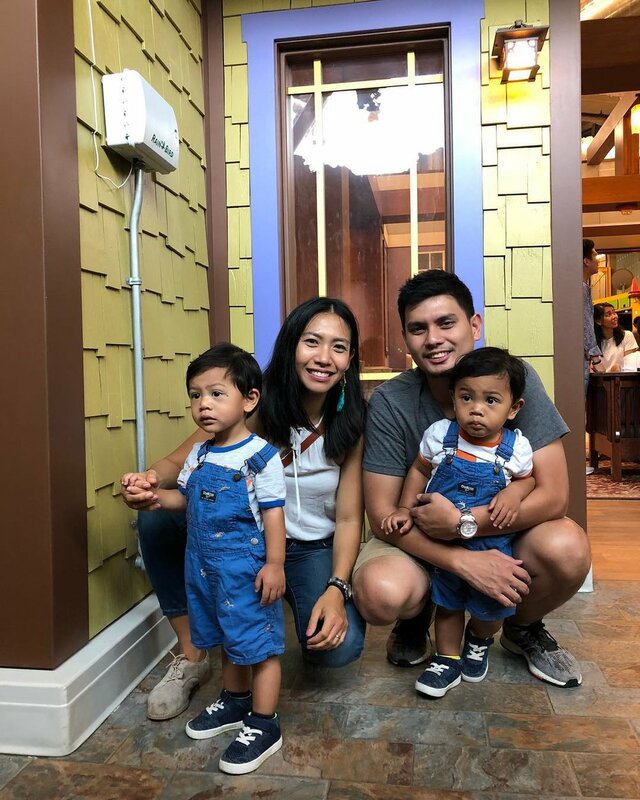 Nicole: “I think no matter how beautiful and life-changing motherhood is, it’s inevitable to go through that.. yung hahanapin mo yung dati mong freedom, you’ll miss working, etc. The transition is so major kasi. :) That’s probably why a lot of new moms go through postpartum depression. Whatever season you may now be in, I pray that you will wholeheartedly accept and enjoy being in it, with all of its highs and lows. “My dream talaga is to be a hands-on homemaker and take care of my family (Martha Stewart levels haha), still get to sing (special gigs/events) and create music, and bake for other people on occasion. I’m realising now that the first few years (three to be exact) of child-rearing are not only critical (personality development period and this is when they absorb everything talaga like a sponge) but also too precious to miss.